Carolina Greenhouses was formed and incorporated in 1984 by a North Carolina tobacco and vegetable farmer. Our founder knew the problems associated with tobacco and vegetable transplant production. He realized greenhouse techniques, with modifications, could be applied to agricultural transplant productions. 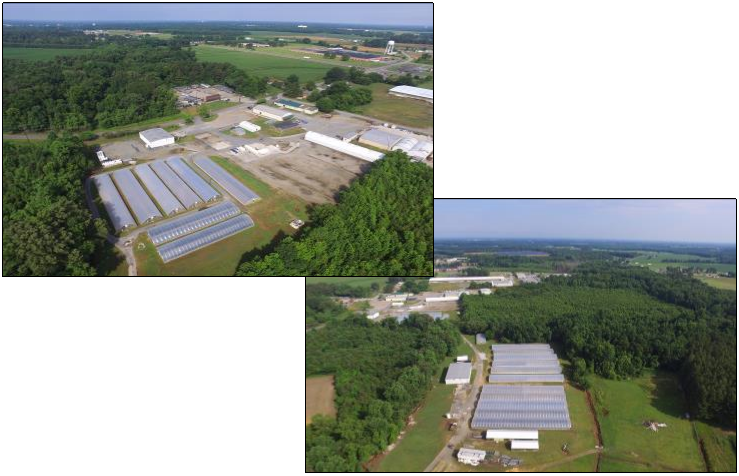 Since that start in 1984 of producing agricultural transplants in simple Quonset greenhouses, Carolina Greenhouses has expanded in many directions. From the simplistic greenhouses manufactured initially, we now implement state-of the-art CAD equipment in the design and manufacturing of our 40 different models which are tailored to an individual’s specific needs. Carolina Greenhouses also manufactures a complete line of seeding equipment for the agricultural and horticultural industries. Our company furnishes agronomic help to its customers and supplies the soil media, plastic, trays and all other related production supplies and fixtures necessary for the transplant operations. Our products are shipped principally throughout the United States, the Caribbean, Central and South America and Western Europe. In addition to manufactured and distributed products, the company also sells tobacco transplants to growers from our company’s production facility.